Don’t you just love quick and easy dessert recipes? Especially for the holidays! 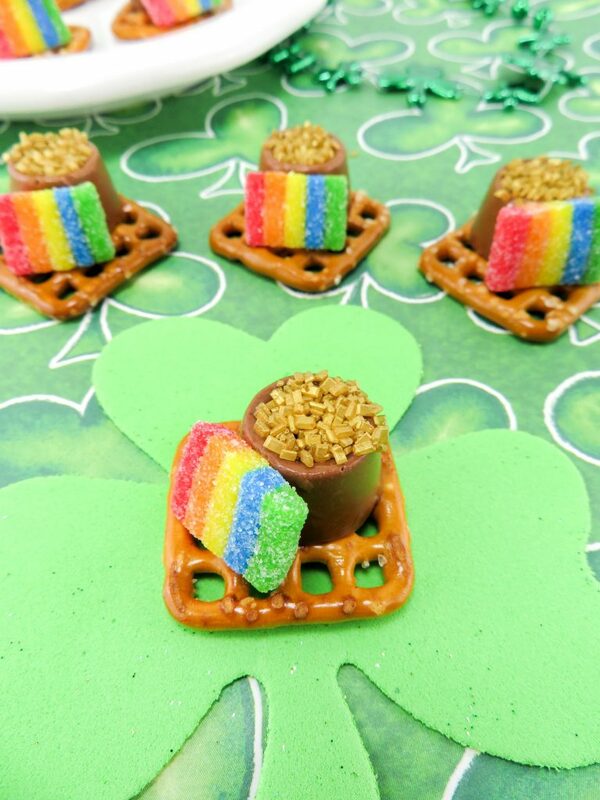 Here’s an easy one you can do with the kids … or better yet, surprise them for the holiday! 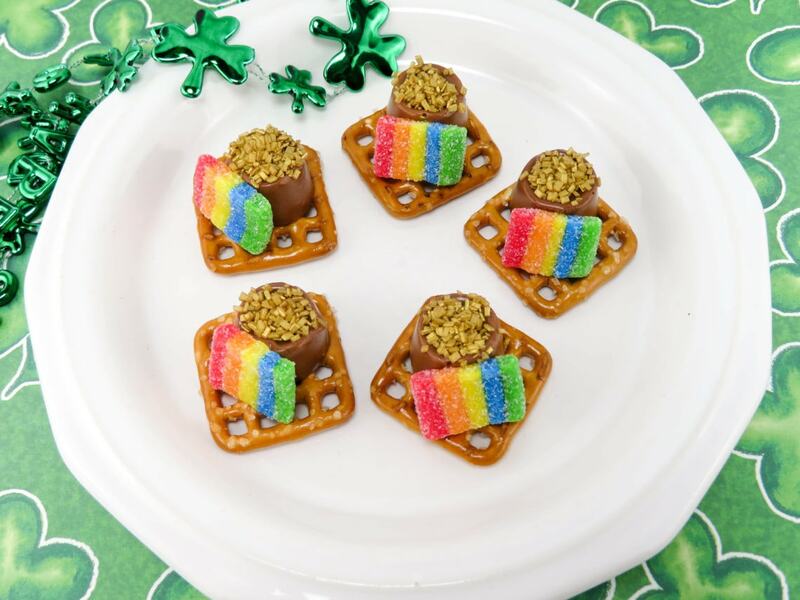 These Pot of Gold Pretzels will be sure to win over the crowd this St. Patrick’s Day. 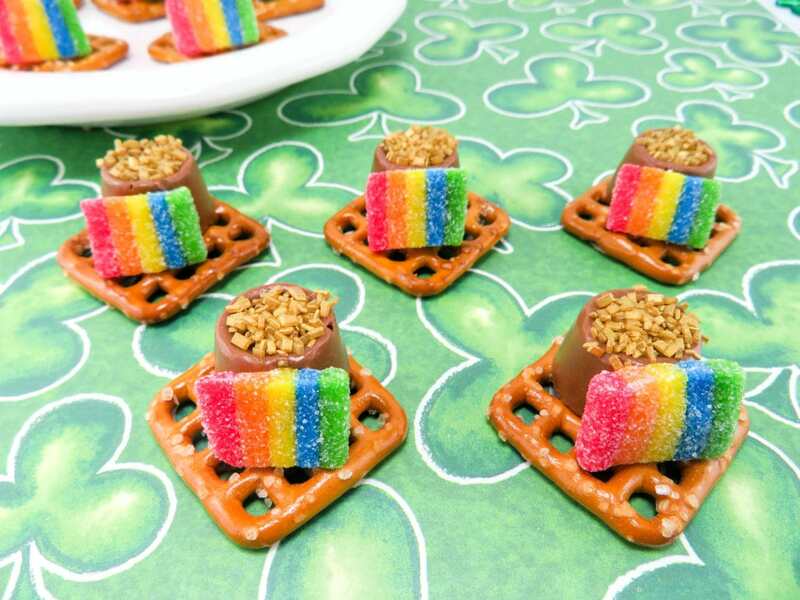 They are almost too cute to eat!! 1. Pre-heat oven to 250 degrees. 2. 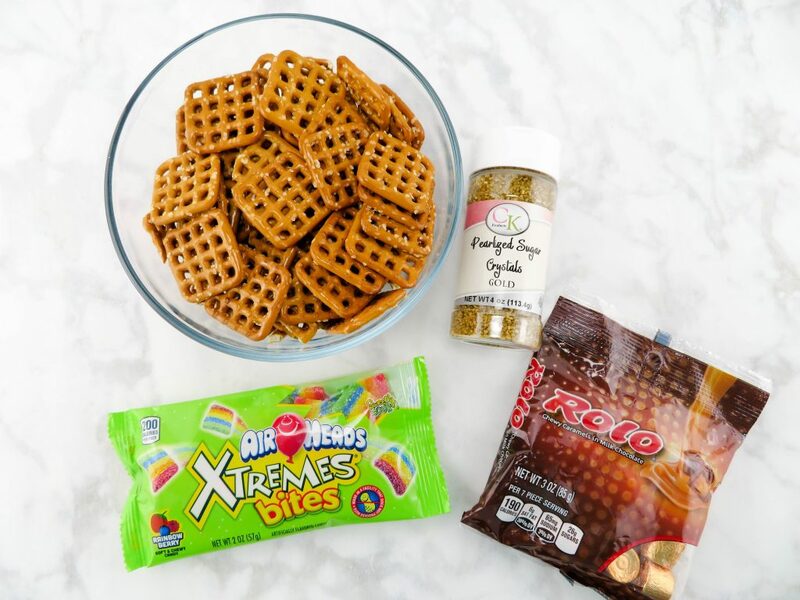 Place pretzels on a parchment lined cookie sheet. 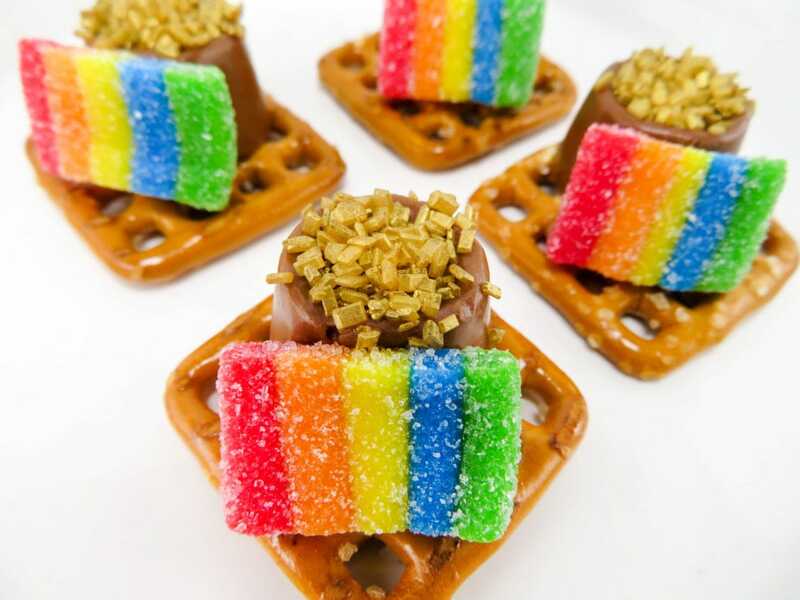 Add one rolo to the corner of each pretzel. 3. Place in oven for about 2-3 minutes. Just enough to soften the chocolate. Remove from oven. 4. 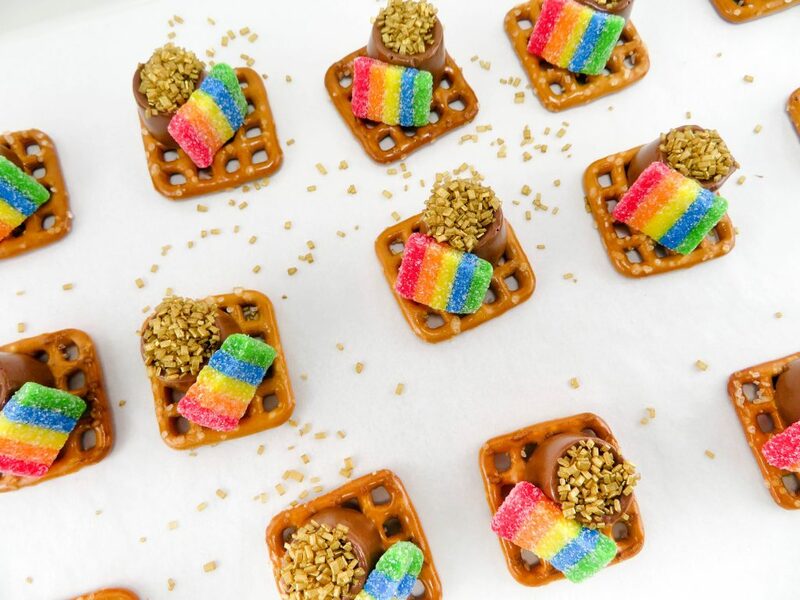 Immediately sprinkle top of rolo with gold sugar, then add one rainbow bite in front of the rolo. 5. Let dry for about 10-15 minutes.